Born in Los Angeles, Mr. Senate grew up in Thousand Oaks. His father Leonard worked at MGM studios. He was an accomplished painter and became one of the three top painters of circus banners in the nation. He was used to paint the banners for Disney's Tobe Tyler Film. Mr. Richard Senate attended Ventura High School after the family moved to the coastal town in 1963 when Leonard retired. He attended Ventura Community College where he earned an AA degree, He went on to California State ... Maggiori informazioni University at Long Beach where he earned an BA Degree in History. He worked as a store manager for a time. Then he attended UCSB where he studied archaeology. He went to a summer field school dig at the Old Mission San Antonio de Padua (near King City). He became the manager of the Albinger Archaeological Museum for eight years, then, the manager of the Olivas Adobe Historic Residence where he was both manager and curator. He was part of the team that developed the award winning Rancho outreach program that has, over the years won two awards. He has authored 23 published books (one a biography of mystery writer Erle Stanley Gardner) and has been featured on many TV shows and documentaries. He has won awards for his many efforts, two for a documentary he made on the Olivas Adobe. He has also worked as historian for the city of Ventura, taught history for the home schools for twelve years. He was featured in the local Radio Drama productions at KVTA Radio—AM 1590. After 22 years he retired from the city of Ventura but still writes and conducts tours for the city. He resides in Ventura with his wife, Psychic Debbie, he has three children and six grandchildren. He suffered a massive heart attack in February 2016 and an operation in March at UCLA. He is recovering now and he hopes to go back to teaching and giving tours. 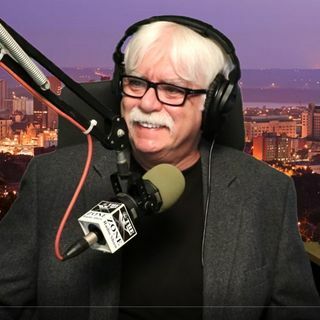 He writes now for the San Buenaventura Post newspaper, and The Midtown Ventura News (on line publications) and the Edgar Rice Burroughs Magazine, (They are about to publish a novella Mr. Senate wrote) and Fate Magazine.